I’ve recently been asked for blogging advice by a few different people. As always, I am surprised and flattered that someone should ask my advice about something. Anything. The following isn’t much, but I thought I’d share it here. 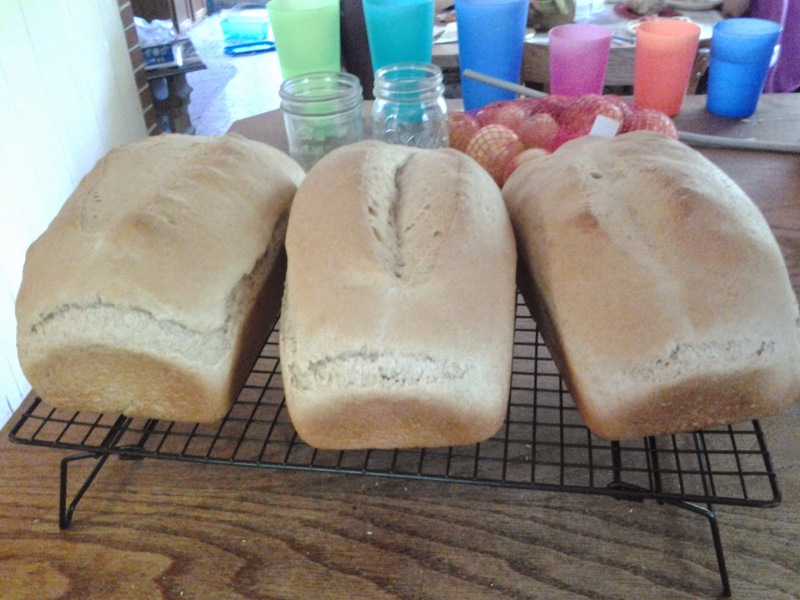 Bread, fresh from the oven. Smells like home! But settling on a location and designing the blog may be the easy part. Maybe what keeps so many from getting rolling is that first blank post; the great expanse of white with the cursor blinking at you, impatiently awaiting your awesomeness. My life is varied and casual and I like to share that, but another approach is far more specific. Maybe you want to blog about aquaponic gardening, run a commentary on the antics of the religious right, how-to build almost anything, or your world travels. Maybe you just want a place to share pictures and stories of the kids with long distance friends and family. Maybe you want to make money with your blog, in which case I recommend checking out The Blog Maven; she’s got a well-designed blog, a nice writing style, and some sound advice. You don't have to get it perfect right out of the gate—or at all. You can always tweak it. Just get started and see what happens. Learn as you go. I do highly recommend labels or categories for each of your posts, to keep your randomness approachable. Make them up as you go along. Also, I love a search feature because I’m often returning to good blogs looking for something I’d read previously. Like, six months prior. With the word chicory in it. If you’ve started a blog recently, I’d love to hear about it!